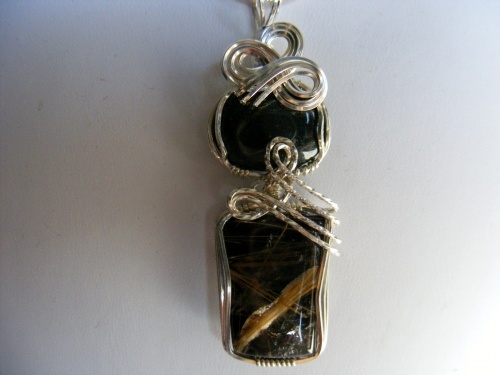 This pretty double pendant is extremely unique with its black onyx top stone and a gorgeous rutilated quartz as the bottom gemstone. Piece measures 2 1/4" long adn 3/4" wide. Comes with a sterling silver chain.